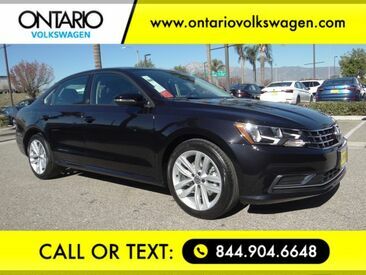 Award winning Volkswagen dealer in the Inland Empire is here to make this the best buying experience you have had. **Must be financed through VW Credit using standard APR. Ontario VW Discount does not apply for Cash Discount. May not be combined with VW credit special APR or special Leases. See Dealer For Complete Details. Not all customer may qualify for special incentives. Proudly serving Ontario, Riverside, Riverside County, Orange County, Rancho Cucamonga, Mira Loma, Montclair, Pomona, Corona, Chino, Chino hills, Fontana, Colton, San Bernardino. Redlands, Yorba Linda. This is a great dealership. I service my car at this dealership all the time. Everyone in service is very friendly. My son just purchased a used car last week. Dennard the sales person and Marie the finance lady were very helpful they both made my son's and mine a great experience. I recommend this dealership to anyone out there looking to buy a new or used Volkswagen... Excellent Customer Service. I made a call to make an appointment to have my car serviced. I spoke to Jimmy from the service dept. 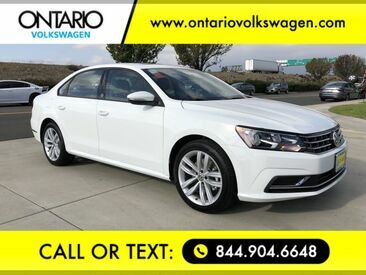 who was extremely kind and very helpful; took my car in the same day got it checked out and serviced and I am extremely happy with the great customer service that is provided at Ontario Volkswagen. Jim and Frank are awesome. Being a regular customer to this place I have always got excellent service every time. One time I had an issue with tire and they provided me with detail inspection and recommendations. Came in on the 22nd of December to search for a new vehicle after mine finally went out on me. 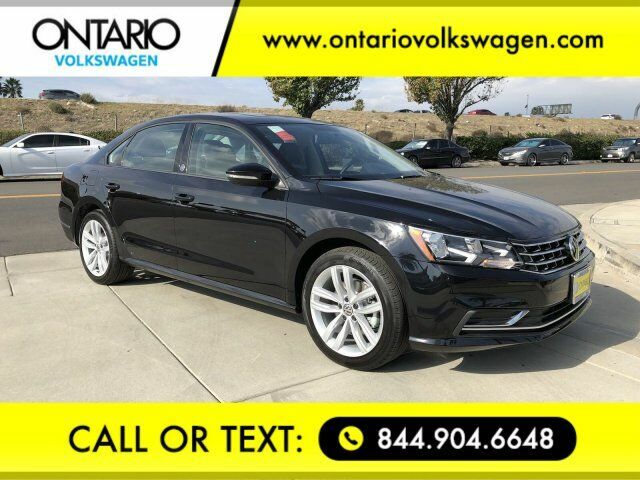 We went to Volkswagen and were approached by Zach Williams who was really informative and helpful when it came to what we were looking for. He was able to get me the car that I wanted, and thanks to Zach everything before, during, and after the paperwork was a very positive and smooth experience. Thank you!! 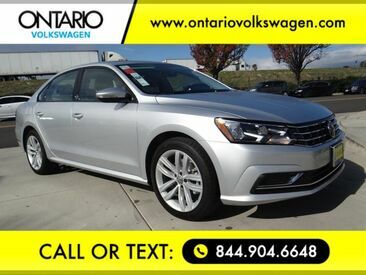 We love Ontario Volkswagen! We really appreciate both the sales and service departments. We are on our third lease and feel like they go above and beyond to work with us to find a deal that suits our budget. The service department is also fantastic. Don't go anywhere else. Wonderful experience here how a car sale is supposed to be!! 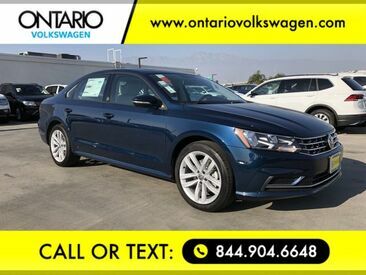 I strongly recommend Ontario Volkswagen to all.!!! Best car buying experience ever!! Alvaro was awesome and made everything so enjoyable will definitely buy again here! Very knowledgeable of their product, they work with you all the way trough the process. I am very satisfied with the whole experience. And best of all the workmanship, looks, gas millage and the tequnology in the VW brand. The staff at Volkswagen Ontario were super helpful. Armando, the salesperson who helped me, got me a great deal on a new car. Thanks so much! We had the pleasure of purchasing a vw Jetta for my daughter with the assistance of Jorge Alba and the car shopping experience was great! No pressure which we absolutely loved! Very well knowledge on the car we test drove and any question were had. Thank you Jorge for making our visit and purchase a pleasant one! We are extremely happy with our purchase! I am so glad I decided to go to this location. I was originally interested in leasing a new Jetta. The staff was helpful and showed me different options. After showing me the payment options I unsure if I wanted to go forward. Frank showed me a 2015 Jetta SE with all the features I wanted (except for the digital dash which was perfectly okay.) to purchase for 11,000. Making the payments where I needed for my budget. Frank and Marie where so great in closing the deal with me and helping me find the best option for my lifestyle needs. Any questions I've had further have been answered since I am a first time buyer. Thank you Frank for the follow up call and for the awesome customer service. Jorge was professional and very helpful. I was in and out of there super quick all thanks to him. Ask for Jorge, you won't be disappointed! Went here on Friday just to browse for a new vehicle. I was immediately approached by Mario who was extremely helpful and knowledgeable. He made the process very easy and relaxed for both my wife and I. We ended up purchasing a new 2019 Atlas and we love it. Thank you Mario. Armando was awesome!! Very honest and no games!! He made it very easy for us!! Good guy!! 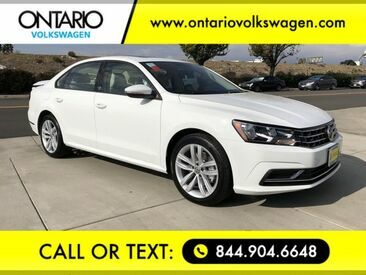 Had a horrible experience at Riverside Volkswagen, but luckily i stopped inside of Ontario Volkswagen, and i automatically felt a pleasant vibe when i walked inside. i was able to get a great deal on my jetta, and i'm so excited because i went from a 2015 to a BRAND NEW 2019 all black!!! with the leather seats! Sunroof, digital screen, mirror sensors, i am in love. He even called me to check on me a week later to make sure everything is running smoothly. Thank you Armando for helping me pick out my new VW Jetta R line!!!! Came here looking to buy my first new car. After dealing with extremely pushy salesman at other dealers, I was glad to have a totally different experience here. The salesman Jorge, was knowledgeable, straight forward, and made the process very painless. My husband and I came just to test drive a car we liked without intention to buy, but found a car we really loved. Armando took us for a test drive and was very nice about everything and helpful. We met with sales manager Alvaro to ask a few questions and to get a quote. He was so extremely helpful and very low pressure. He made us feel very welcome and convinced us to buy. Manager Marie finished us up with our paperwork and was so amazing and such a pleasure to talk to. Everyone at this location was so nice and helpful. Thank you Ontario Volkswagen!!! Can't speak to the sales department but my experience with the service department was phenomenal. Very helpful, precise, quick, and not wasteful of my time. JR spent time answering my questions about future services and was willing to answer more if I had them. Even took the time to review common "problems" people have with my car that aren't problems and easily fixable on my own. Great experience and they will have my business for the lifetime of my car; which will be until it rusts. Went in knowing what we wanted. Didnt have any issues. Were in and out with a payment less than what we thought it would be. Mario and Tim did an awesome job getting us what we wanted and out the door to enjoy our new Tiguan. I went to the VW dealership looking for a commuter car. Alan Villasenor was helpful and patient while showing us a couple of Jettas. However, we were unable to make a deal that day. The next day and a couple of text messages with Alan, we agreed on a price that I was pleased with. My salesman Alan Villasenor helped me get a great deal on my first car!!! I'll definatly be coming back for all my car related needs!!! Came in on a Costco reference ready to buy a new car. Was greeted by Alan Villasenor and after viewing a few cars, walked out with a "used" 2014, Paseat with 4,000.00 miles and a 5 year bumper to bumper warranty. Very pleasant experience. Came in with a pre-approved APR, and VW gave me an even better one. GreT experience on buying the new Volkswagen Atlas, Saleman very knowledgeable on the product, just an overall great experience. Would highly recommend for buying a car. Ontario vw Talked to Mario on the phone and he gave me what I needed. Finance person did a great job also. Thank you for a car. Bought a used car from here fast service quick and easy. Zach was awesome! He went the extra mile to come in and make sure the car was cleaned, full tank of gas and ready to go. It's been 10 years since I bought it car and VW Ontario made super easy and hassle free! Alvaro and Mario were great! Definitely would recommend VW Ontario to my family and friends! Self Appraise Your Vehicle In Less than 10 Minutes And Get An Instant Cash Offer From. KBB.